It’s a common misconception that addiction only affects the homeless or people who are generally considered ‘down and outs’. In reality, addiction may affect anyone no matter what particular walk of life they happen to come from. In fact, addiction is thought to arise more frequently amongst people who hold down stressful jobs. This includes business executives, company CEOs and captains of industry. Addiction may affect these people precisely when they are at the height of their career. Some executives have even admitted to being addicted to drugs or alcohol for decades, even when they were responsible for multi-billion pound businesses. Put simply, addiction does not discriminate on who it will inflict itself upon. 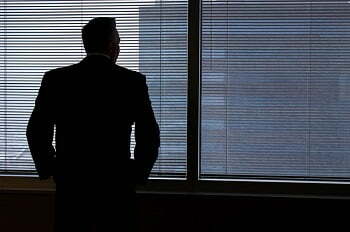 Unlike regular workers, business executives are usually better able to conceal their addiction from their colleagues. This is because business executives have greater flexibility when it comes to their schedule. They do not have to adhere to a 9-5 day, so they may nurse their hangover at times the rest of us are behind a desk and going about our working day. Business executives also have people on hand who may unwittingly cover for them. This simply is not an option for the rest of us. The very fact an executive has climbed so high in his or her career helps to deflect concerns and suspicions away from their addiction. Many people will simply disbelieve the signs of addiction precisely because the person at hand is a business executive. You can learn the signs of alcoholism here. One such executive who became addicted to alcohol is Doug Tieman, the CEO of Caron. Tieman’s drinking became problematic in the early 2000s. It wasn’t until 2010 that Tieman actually sought out help from an alcohol rehab clinic following a drink-driving offence. Tieman said his family and fellow board members were shocked by the revelation he was alcohol dependent. He said his drinking was ‘always underground’. He claims the nature of his job and the frequent travel it demands made his drinking very easy to hide away from those who were close to him. He initially set rules to prevent his drinking from getting out of control, but eventually, all of these rules fell by the wayside. Many executives say they over-indulge on alcohol because they see it as a reward for all their hard work and sacrifices they make in order to grow their business. It’s thus a ‘work-hard-play-hard’ mentally gone wrong. If an executive’s addiction is discovered, the Board are probably within their rights to dismiss the executive concerned. This is particularly the case if the executive’s addiction becomes public knowledge since it could then be argued the matter is serving to harm the reputation of the business. Fortunately, many treatment options exist that are ideally suited to business executives. The vast majority of treatment clinics are privately operated businesses. This affords business executives a level of anonymity that’s ideally suited to their circumstances. At Rehab 4 Addiction, we work with many drug and alcohol rehab clinics both in the UK and abroad. We also work with luxury rehab clinics. Here, you may undergo treatment in luxurious settings. Many luxury rehabs are based in exotic locations, for instance in the Caribbean or the Indian Ocean. Most rehabs that cater to the needs of business executives will allow them to stay connected with their jobs whilst they undergo residential treatment. This allows executives the ability to keep their eye on the business and simultaneously complete the required treatment programme. For more information, contact Rehab 4 Addiction today on 0800 140 4690 or by completing the online contact form.